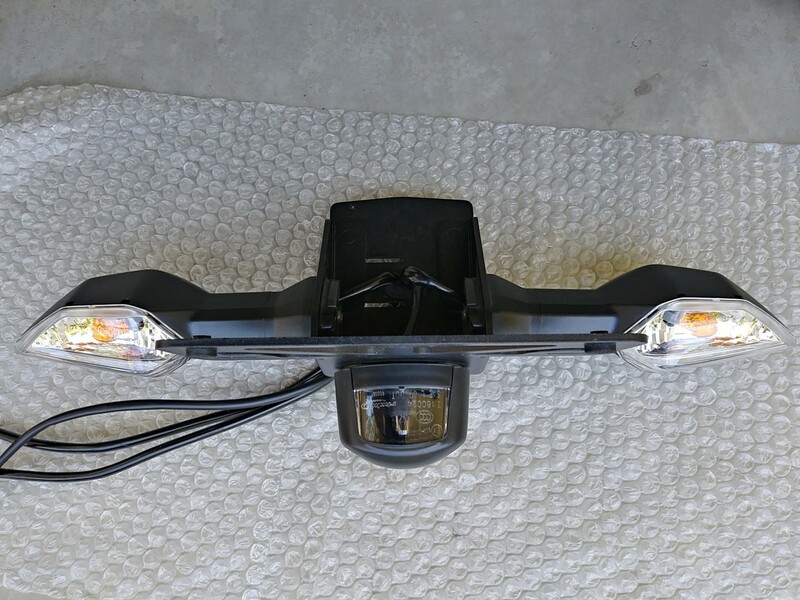 Option 1, fender eliminator by itself, without lights: $45 shipped (cont. U.S.). 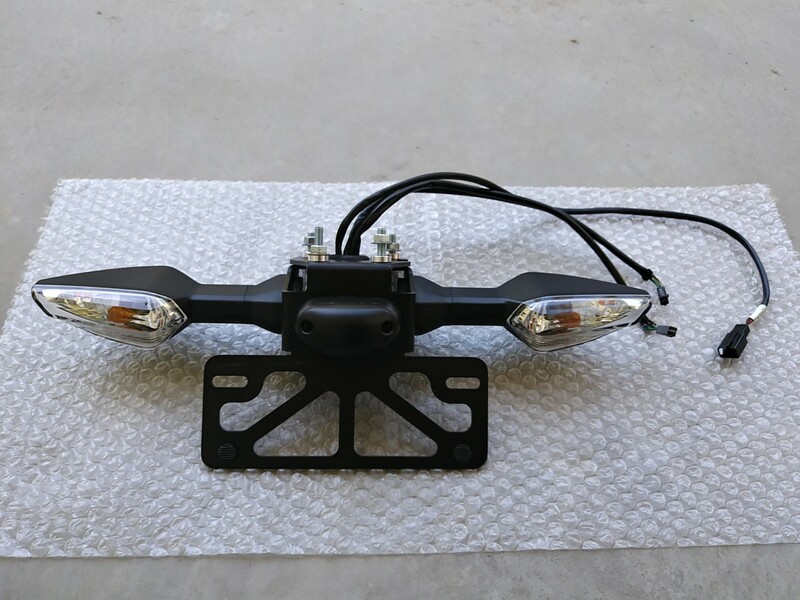 Option 2, fender eliminator plus OEM left and right turning lights, OEM license plate light, OEM connectors: $55 shipped (cont. U.S.). Everything functions normally. No cracks or damage of any kind. This assembly was not on the bike when I crashed. I had previously removed it and replaced it with an integrated tail light and a separate undertail license plate mount. 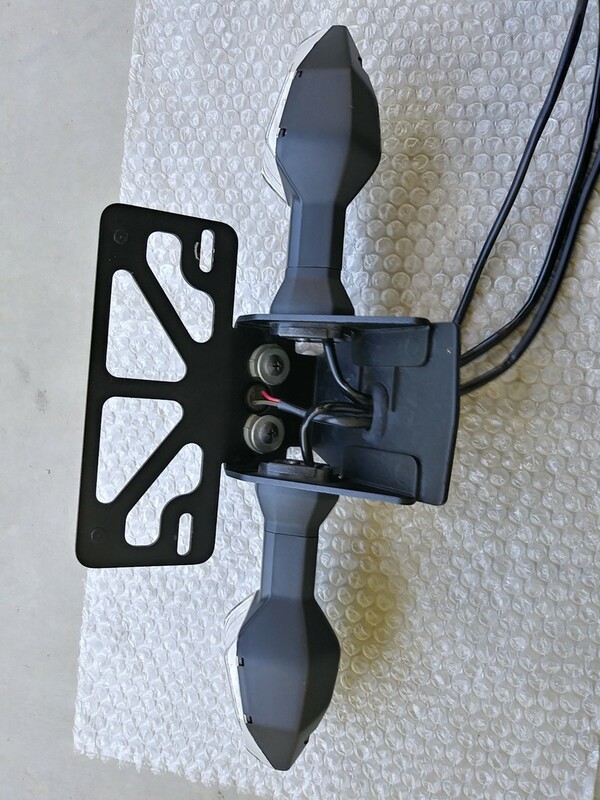 Note: I may cancel Option 2 if somebody offers to buy the lights without the bracket. Eliminator includes the bolts, nuts and spacers. Ready to bolt onto your bike faster than you can say, "What mud flap?"